Daphne Caruana Galizia, Top Investigative Reporter In Malta, Killed By Car Bomb : The Two-Way Caruana Galizia, who revealed the secrets of the wealthy, powerful and corrupt on her widely read blog, died Monday after her car exploded. She had recently been digging into the Panama Papers. Police and forensic experts inspect the wreckage of a car bomb believed to have killed journalist Daphne Caruana Galizia close to her home in Bidnija, Malta, on Monday. The force of the blast broke her car into several pieces, witnesses said. 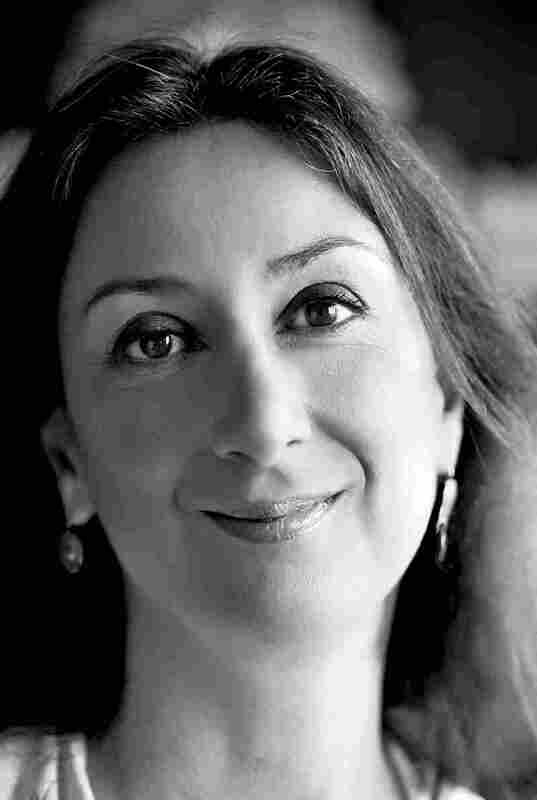 Daphne Caruana Galizia, an investigative reporter in Malta who revealed the secrets of the wealthy, powerful and corrupt, was killed by a car bomb on Monday. 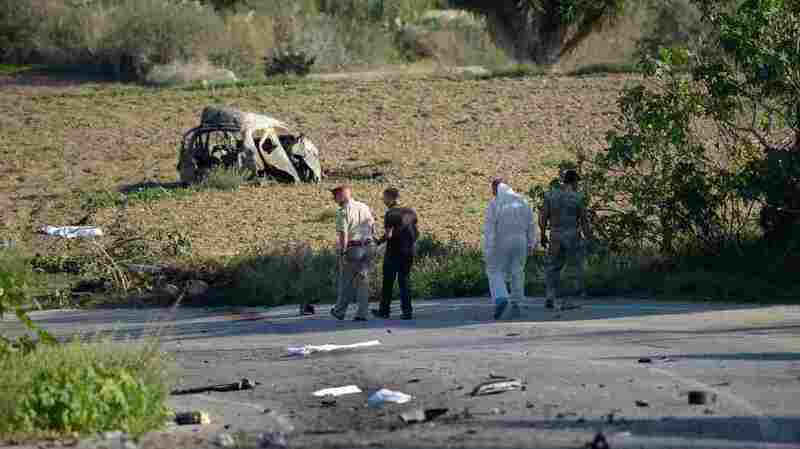 Her car exploded as she drove in northern Malta, sending debris into a nearby field, NPR's Sylvia Poggioli reports. Caruana Galizia, 53, ran her own website, where her posts "often drew more readers than the total circulation of Malta's newspapers," Sylvia writes. Her work targeted many powerful figures, including money-laundering banks, Mafia-linked gambling companies and politicians allegedly receiving covert payments, The Guardian reports. "Over the last two years, her reporting had largely focused on revelations from the Panama Papers, a cache of 11.5m documents leaked from the internal database of the world's fourth largest offshore law firm, Mossack Fonseca," the newspaper writes. "[He] announced that the FBI will fly experts to the island to help local police investigate the killing. Muscat had sued the journalist after she accused him and his wife of involvement in financial scandal. "Local media reported that two weeks ago, Caruana Galizia had told police she had received threats." "One of the topics the veteran reporter examined was what the documents from the 2016 leak said about Malta. She wrote that Muscat's wife, the country's energy minister and the government's chief of staff had offshore holdings in Panama to receive money from Azerbaijan. "A half-hour before she was killed, she posted to her website an item about a libel claim the prime minister's chief of staff had brought against a former opposition leader over comments the latter made about corruption. "Caruana Galizia herself had been sued for libel over articles she wrote for her blog. Opposition leader Adrian Delia sued her over a series of stories linking him to a prostitution racket in London. Economy Minister Chris Cardona claimed libel when she wrote that he visited a brothel while in Germany on government business." The journalist's death was swiftly denounced in Malta, the AP writes.